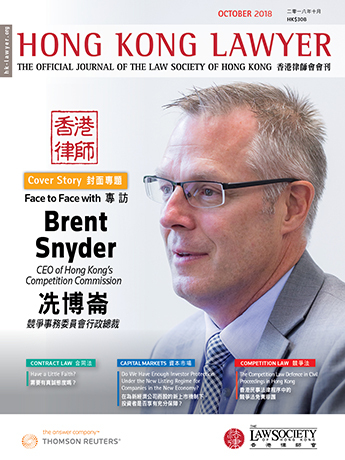 Brent Snyder, CEO of Hong Kong’s Competition Commission, shares his plans and ambitions for his three-year term as head of the fairly young antitrust watchdog, and also looks back on a rich and varied legal career. From taking on civil litigation cases for Hollywood heavyweights, to investigating antitrust cases for the U.S. government, to helming the competition watchdog in Hong Kong, Brent Snyder has had a diverse career in the law. Snyder, who is more than 190cm tall, became CEO of the Competition Commission in 2017, succeeding Rose Webb. He says that he came at the right time as his heart is still in enforcement, and the fact that the agency is in its formative stage gives him space to develop. His passion for litigation started back in high school. During a mock trial in a civics class, this shy student, who barely talked in class, was chosen by the teacher to be the defense lawyer – and the accused was found innocent. “(The teacher) later told me she picked me because she wanted to see if I could talk. I realized that’s what I wanted to do with my life,” Snyder says. As an undergraduate, Snyder studied political science, and then went on to law school. Exposed to different aspects of law, he fell in love with litigation. Antitrust was a love he found later in life and was quite a contrast. “When I was in law school, I never had the slightest interest in transactional law,” he says. After slightly more than a year as a judicial clerk, Snyder became a commercial litigation attorney at the law firm Paul Hastings’ Los Angeles office, where he represented well-known rap artists, movie stars and directors. Snyder recalls one of his “craziest” cases from that time. Hollywood actor-director Dennis Hopper went on The Tonight Show in 1994 and was asked about Easy Rider, the movie he directed 25 years earlier, which brought fame to actor Jack Nicholson. Nicholson’s role in the film earned him his first Academy Award nomination in 1970 as Best Supporting Actor. Hopper said another actor was originally being considered for the part, but pulled a knife on him at a dinner party, so he offered the role to Nicholson instead. After the television appearance, Hopper was sued for defamation by actor Rip Torn. An arbitrator in Los Angeles awarded Torn US$475,000. Although working in Los Angeles provided him with “good and funny stories to last a lifetime”, the Montana-born lawyer was not eager to continue his practice of litigation in what he calls the “street-fight” litigation atmosphere in the vast city. Snyder moved to Seattle as a partner at Perkins Coie, where he got his hands on cases involving antitrust issues related to fish processing and telecom companies. With a desire to focus on antitrust cases, Snyder entered the U.S. Department of Justice (DOJ) as a criminal prosecutor with the Antitrust Division. For a decade, he investigated antitrust cases on a full-time basis and tried them in court, first in Washington, D.C. and then in San Francisco. He dealt with a variety of cases, including one involving air cargo, which he says was the largest ever cartel investigation at the time. Later, he ventured into cases involving price-fixing of LCD panels, among others. In his last four years at DOJ, he was promoted, and oversaw all criminal antitrust prosecutors in the U.S. He took pride in advancing new blood. “I got great satisfaction out of getting to see young prosecutors develop, have their own successes, and bring important cases of their own,” Snyder says. One downside of working at DOJ was the location. Living in California at the time, Snyder had to constantly travel back and forth to Washington for work during his last four years at DOJ. 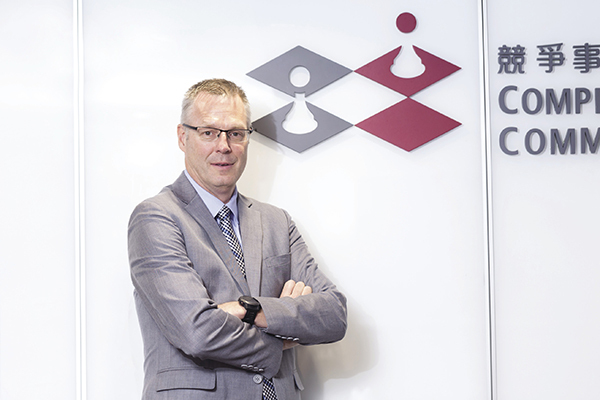 After 14 years, he decided to take up the offer to lead Hong Kong’s Competition Commission. The cosmopolitan city is currently in a nascent stage when it comes to competition law, compared to the more advanced system in the U.S. The former criminal prosecutor now has to handle cases involving various types of anticompetitive agreements and abuse of substantial market power, as well as public affairs, the budget and other administrative duties. During his three-year term at the Competition Commission, Snyder has specific, practical goals. For one, he wants to see it become a capable, collaborative, and complete enforcement agency. The former lawyer is also seeking to establish solid working partnerships with both the Hong Kong government and the private sector, as well as antitrust regulators globally. “When I say ‘complete,’ I mean that we have to excel in all three substantive areas of our work – advocacy, policy and enforcement,” he says. The agency is also seeking to “deliver for our consumers,” says Snyder. Over time, efficiency will be improved. Asked how he will achieve his goals, Snyder has a concrete plan. “We are going to investigate. We are going to bring cases and we are going to do things in a way that I know can be successful drawing from my experience in the U.S. in competition cases. 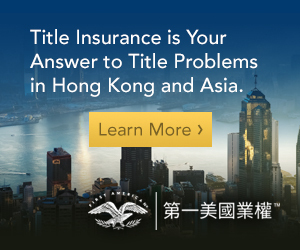 Hong Kong Vs the U.S.
With experience in both the U.S. and Hong Kong, Snyder says that competition law in the two places is not very different. “Most competition regimes are fairly similar. They usually have rules that cover three things: anti-competitive agreements (cartels), abuse of substantial market power (monopolies), and anti-competitive mergers,” he says. 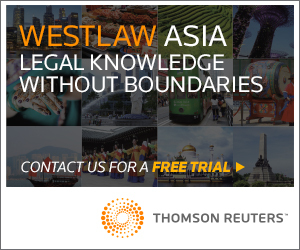 Hong Kong’s competition ordinance, which took effect in December 2015, has a multi-part approach and is based largely on European law. Snyder says the ordinance borrowed provisions from a few different jurisdictions. “For instance, we have a provision defining serious anti-competitive conduct that comes from Canada. We have another provision that allows for individual liability that’s borrowed from Australia,” he says. “But unlike Europe, which has an administrative system, we have a prosecutorial system here which is more similar to what I am used to in the U.S. So in that sense Hong Kong’s ordinance is different from the European system upon which it is largely based, but the substance of the law is almost the same,” Snyder adds. The former prosecutor also notes that “Hong Kong has not extended merger control outside of the telecom sector, so there is no merger review or control process except when it involves telecoms”. “Most people would say that it’s a significant exclusion from the law,” says Snyder. The Competition Ordinance includes four types of acts under serious anti-competitive conduct – bid-rigging, price-fixing, market allocation and output limitation. The first case the agency dealt with involved bid-rigging. With this fairly fresh ordinance, concerns have emerged over the form and gravity of enforcement. Currently, the Competition Commission can seek penalties against individuals who violated the competition law and they are also subject to director disqualification. As a former criminal prosecutor, Snyder says that jail terms are “the strongest deterrent to cartel violations”. Yet he is also satisfied with the tools in Hong Kong’s Competition Ordinance to hold individuals accountable as culprits when companies contravene the law. “Companies can only act through their individual officers, directors, and employees. 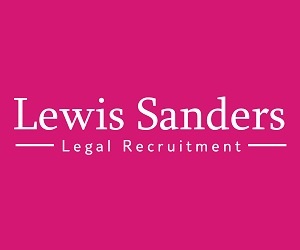 If you want to deter a company from contravening the competition law, it’s important to deter its individual employees, because the company can only commit contraventions through them,” he says, adding that he believes the most effective enforcement requires company and individual sanctions. Asked if stronger enforcement penalties are needed, Snyder says “it’s premature to say”. “At some point in the future, with more experience, we can sit back and assess whether we think that we are getting adequate deterrence with the penalties that currently exist under the competition ordinance or whether we think something stronger is necessary, but that’s something we can decide down the line,” he notes. Going forward, the CEO says evolution of the Competition Commission is “inevitable”. He is seeking to increase complexity in advocacy, policy and enforcement. “On the policy side, we are going to work hard to have a greater voice and influence in advising the government on the competitive impact of its rule-making and its regulatory schemes,” he says. The agency hosted training for government policy officials in September, featuring talks from two competition law professors. Of the three pillars of competition law, Snyder says cartel enforcement comes first. “Those types of contraventions are the most harmful to competition, produce the most obvious harm to consumers, and tend to be on the easier side to detect and prosecute. But we also are looking for appropriate ‘second conduct rule’ cases to bring and different competition matters of greater complexity, such as those that require assessing the effects of the conduct on competition,” he says. Snyder says the agency will soon seek to implement a cooperation and settlement regime that rewards those who cooperate. “We will allow them to resolve with us quickly, so that they can get back to their legitimate profit-making business. And for those that don’t cooperate, we will bring enforcement actions against both companies and individuals and we will seek penalties,” he says. As the city’s competition law is less than three years old, there are still questions as to how practicing lawyers can work with the Competition Commission. Snyder says they can engage with the agency, keep an open mind about the Commission’s approach to investigations and familiarize themselves with the competition law. The Commission wants an open dialogue on the nature of the investigation, the evidence the agency is finding and looking for, and what companies are learning from their internal investigation, according to the head of the antitrust watchdog. “I am a big believer that informal engagement during or before the investigative process benefits both sides, and this might ultimately allow the avoidance of litigation,” he says. Similarly, early engagement can help a company to better understand that it has contravened the competition law and then to mitigate the consequences. Not all contraventions stem from the dishonesty of individuals, he says. Sometimes, there is confusion about the law, or a lack of proper information. Snyder says the Competition Commission will introduce some fresh procedures that are not commonly seen in the city. He also urges lawyers to learn about different industries and understand how the competition law applies to those industries. Having come on board a year ago, Snyder will still lead the organization for at least another two years. He is determined to establish a name for the agency. “I already care about the city very much, so I would like to leave having accomplished good things for Hong Kong’s consumers and the business community. I also want to help develop a mature and sophisticated enforcement agency,” he says. “I want the Commission to be an agency that can handle the most complicated competition issues, will go the extra mile to make sure that it is arriving at the right decision and does things the right way,” he adds. “I also want the Commission to be an agency that has enough success and credibility that any company and individual that’s thinking about violating the Competition Ordinance thinks better of it,” Snyder concludes.